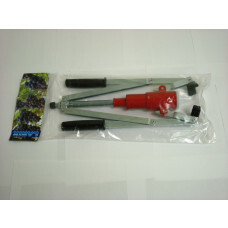 The Deluxe Twin Lever Corker is the perfect tool for corking your wine bottles. Simply position the cork in the corker and pull the levers! Novatwist is a next generation screw cap for table wines. Suitable for use on both glass and PET wine bottles. Can be applied manually by hand making it perfect for home bottling. Featuring a tin saran liner, ensures that the seal between the wine and the bottle is the same as traditional metal screw caps. The Colmated (Bellcork) is one of the most popular corks. The Colmated wine cork is made of natural cork and then treated with a colmated process to fill the outer imperfections of the cork. This process combined with the surface treatment gives the Colmated cork improved sealing ability. An economical good quality composite cork - new technology has made these corks better than ever. 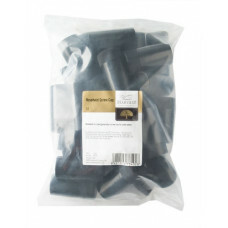 Vintner's Harvest Plastic Champagne Stoppers x 100 - Champagne corks for use with both champagne style bottles.